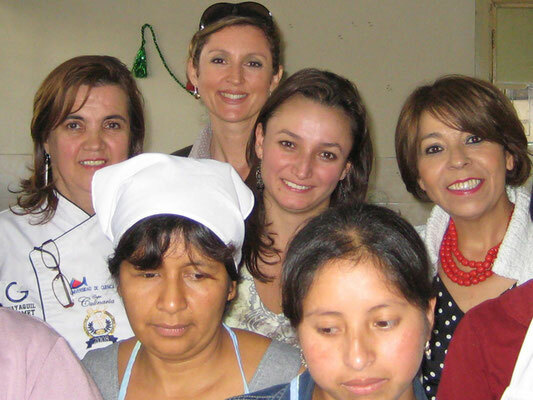 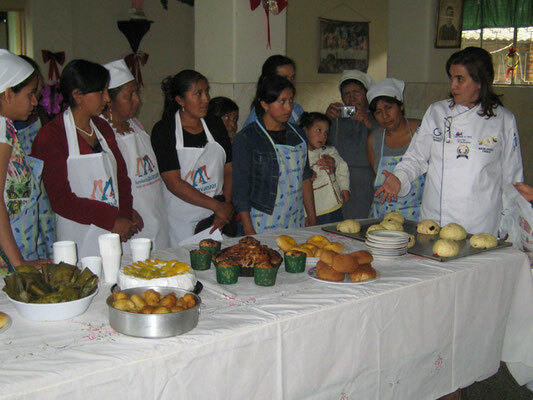 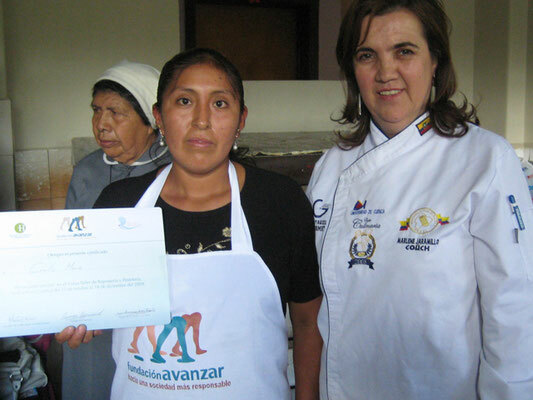 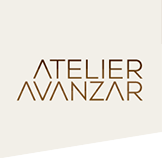 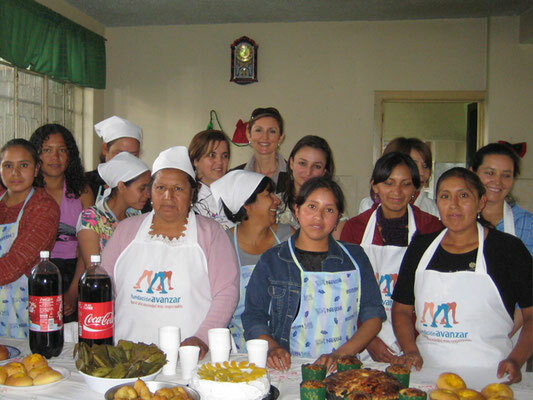 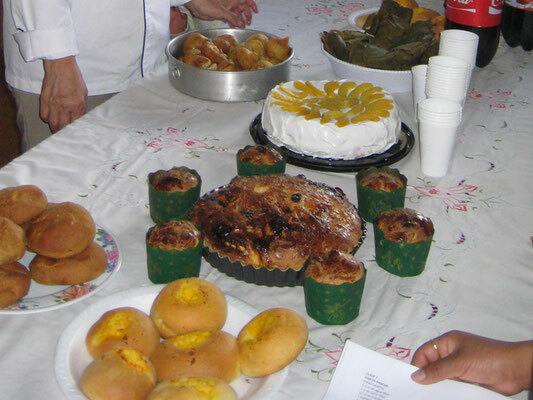 In addition to our cookery courses, and with the support of the Gastronomy Department of Cuenca University, we offered baking courses as a complement to the participants' training. 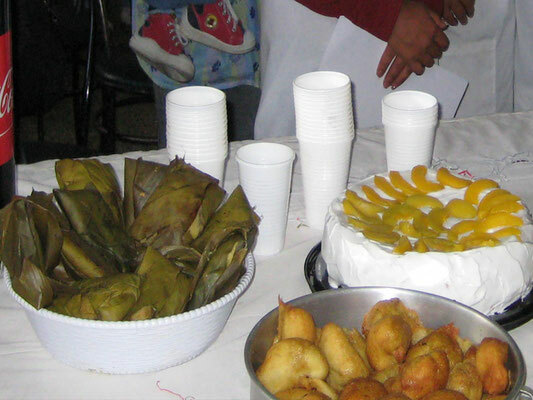 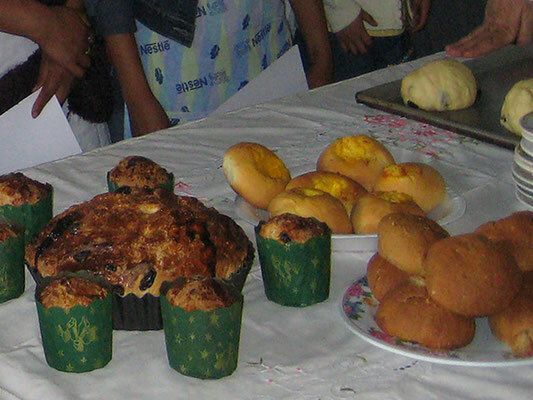 Baking bread, cakes, pasties, etc to sell is one of the most common informal business activities in Ecuador, because it can be done from home and goods can be sold in the street or delivered to houses. 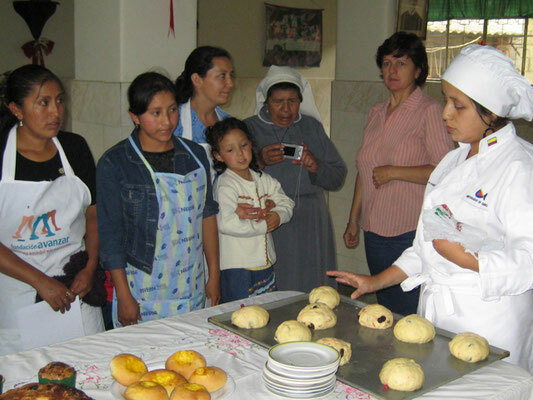 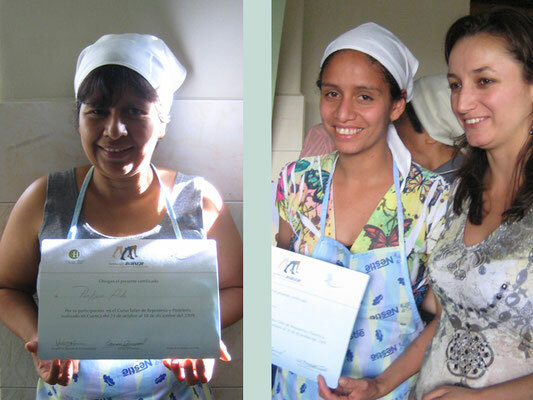 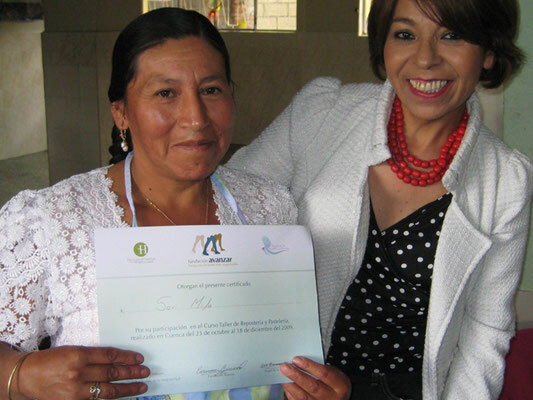 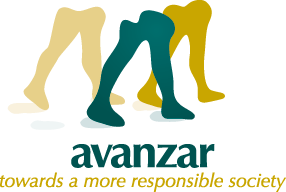 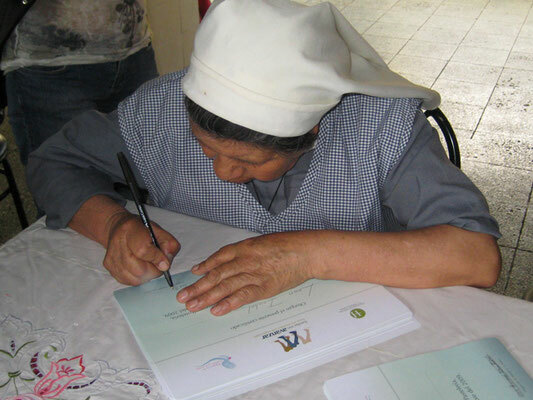 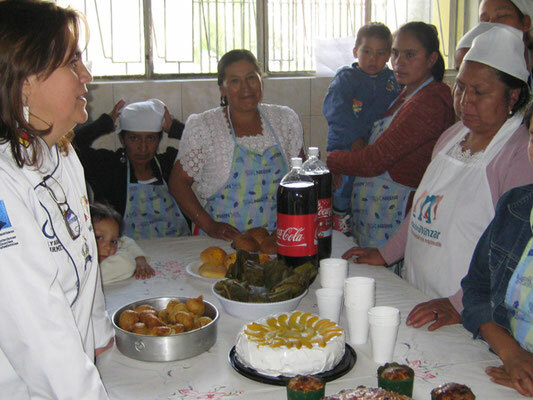 Therefore learning bakery can help a family to raise their income without needing a major capital investment.